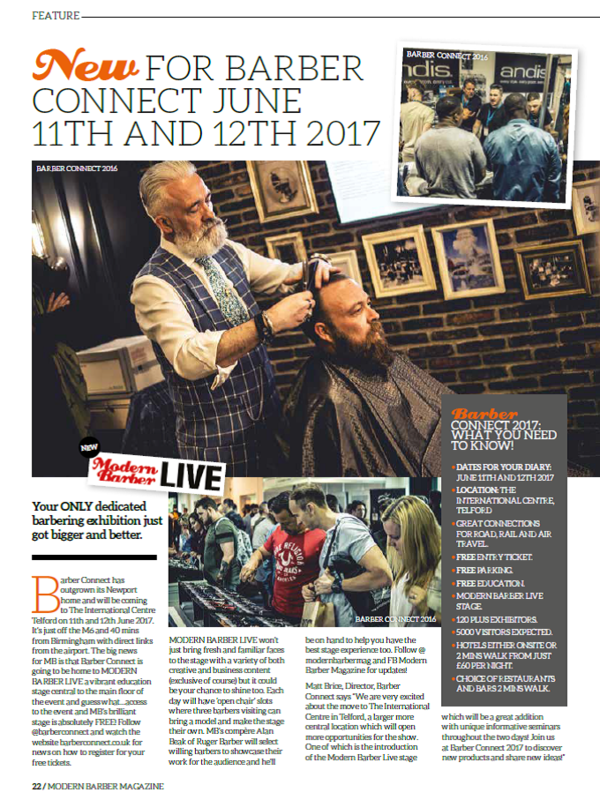 June 11th-12th 2017 sees us hold Europe’s largest barber exhibition at The International Centre Telford, and this year is going to be even bigger and better. Especially with the news that we will be hosting The Modern Barber Live Stage which is proudly sponsored by American Crew. The stage will be a vibrant, educational hub with creative and business based talks as well as ‘open chair’ slots if you’d prefer to bring a model and show off your skills. The compère over the two days will be Alan Beak of Ruger Barber, who’ll be on hand to give you the best stage experience and giving insightful knowledge on products and ideas. We’re looking forward to the unique and informative seminars Modern Barber will be bringing and we hope you are too!